While the fishing grounds have been mostly wide open for the past week it seems that much of the effort has been focused on the productive water from Cape Naden to Yatze. 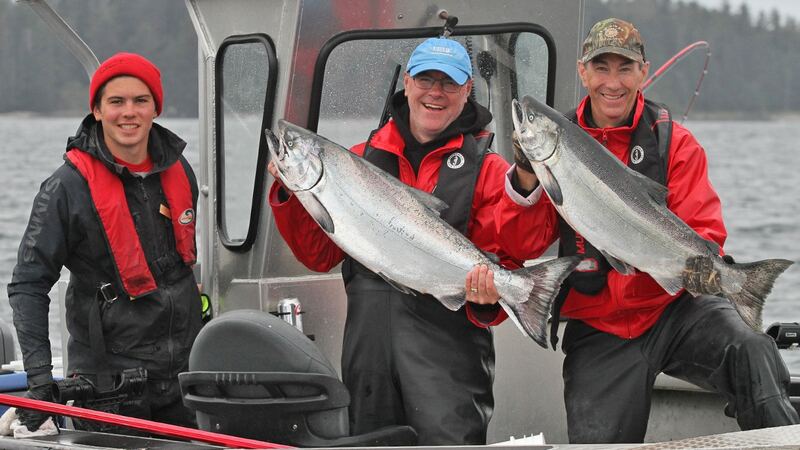 The large mass of baitfish that have provided exciting offshore action have moved through but we’re now seeing more Coho inshore with the traditional Chinook fishery. But those Coho that are still being found up top and offshore are real beauties – 13-14-15 pounders with a couple of 16-17’s in the mix. These traditional “Northerns” are always a highlight when they arrive! With less than 2 weeks remaining in the season, the salmon fishing requires a bit more work but we’re pleased to see the catch board filling up nicely by the end of every trip! 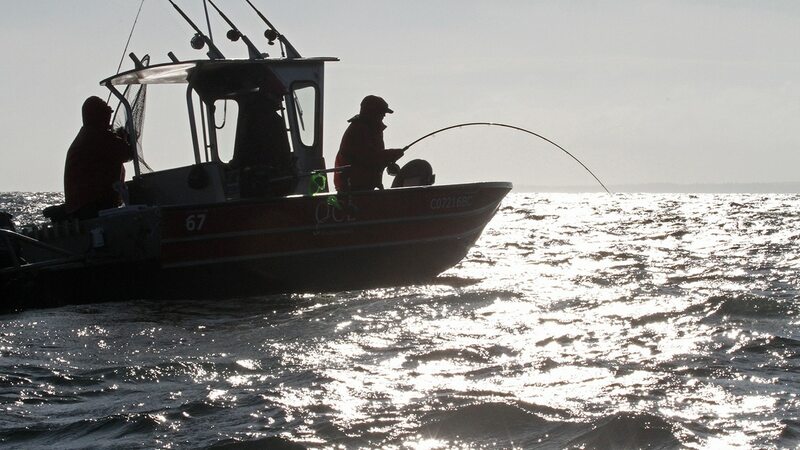 The Tyee bell still rings brightly each evening, whether it’s for big Chinooks, big halibut or those gorgeous Northerns!